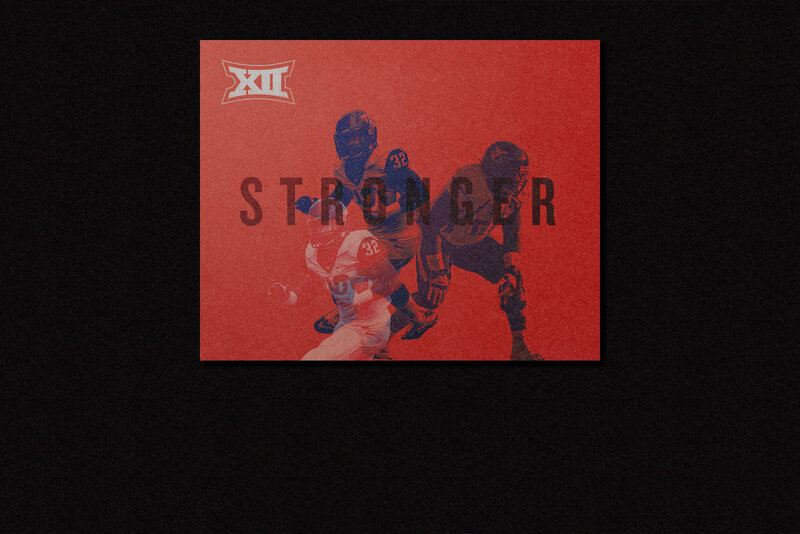 The Big 12 Conference is a collegiate athletic conference with ten member schools from Iowa, Kansas, Oklahoma, Texas, and West Virginia. After the initial rebrand and continued evolution from 2012 to 2017, the brand was refreshed in 2018. The refresh featured an updated logotype and expanded color palette. 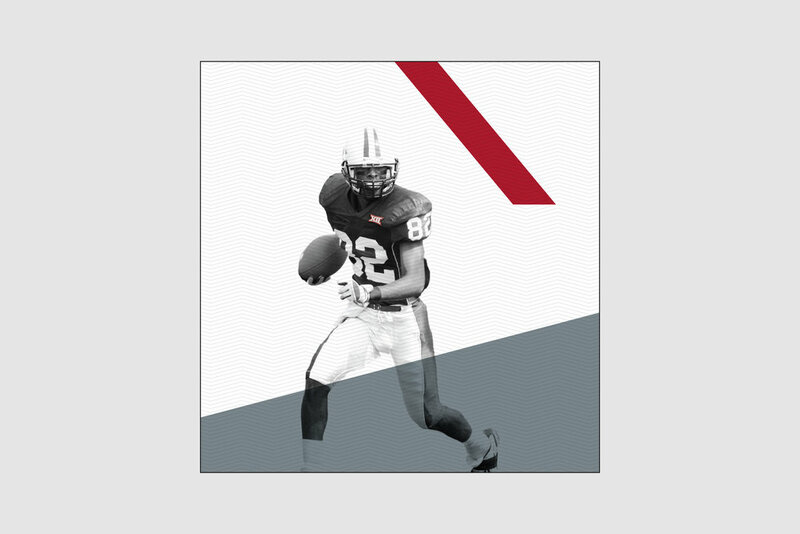 The color palette took inspiration from member universities, and the added options allowed for stylized brand photography using gel lighting. The refresh extended to the identity standards and sub-brands developed from 2012 to 2014. 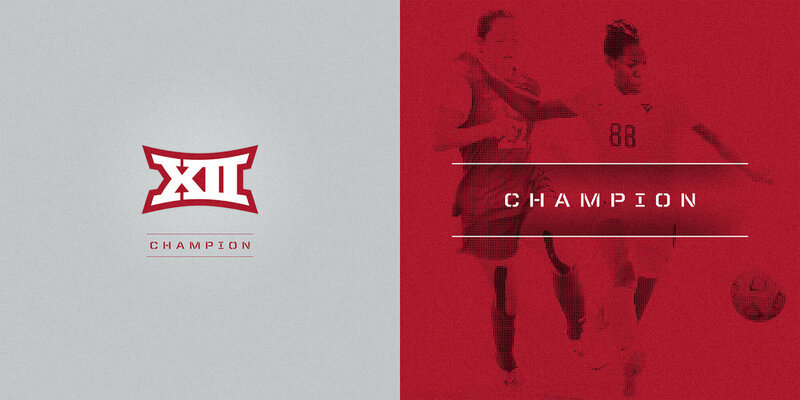 The selected pieces below illustrate the breadth of work created for Big 12. The pieces begin with samples from the recent refresh in 2018 before leading into the years of brand development from 2012 to 2017. 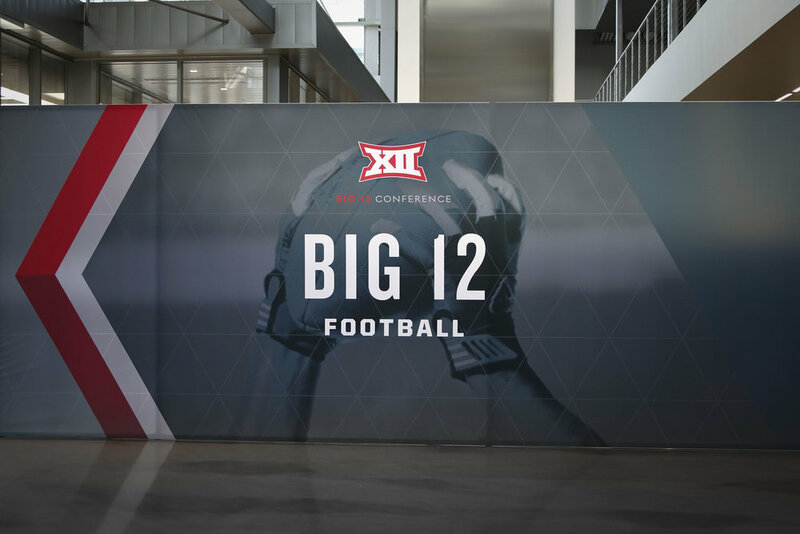 Big 12 started their rebrand in 2012 kicking off a two year endeavor to develop a comprehensive brand platform around their existing logo. 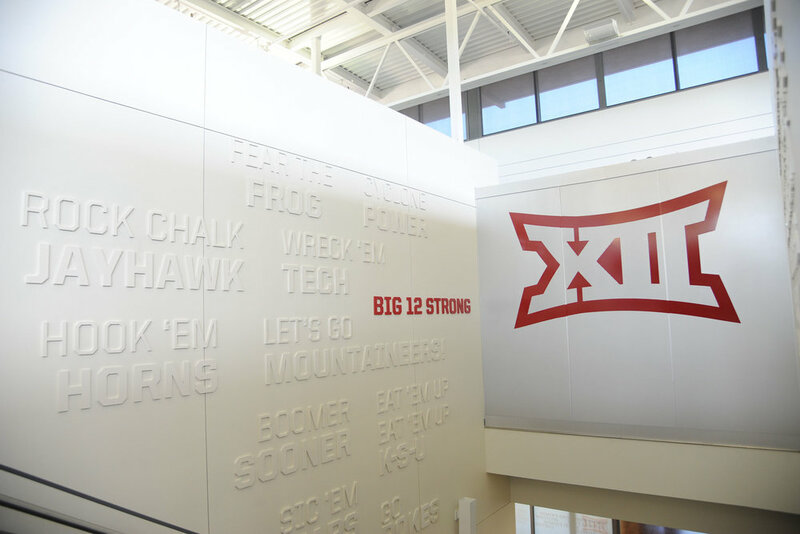 Research and discovery included visits to each university to determine brand placement for uniforms and facilities. 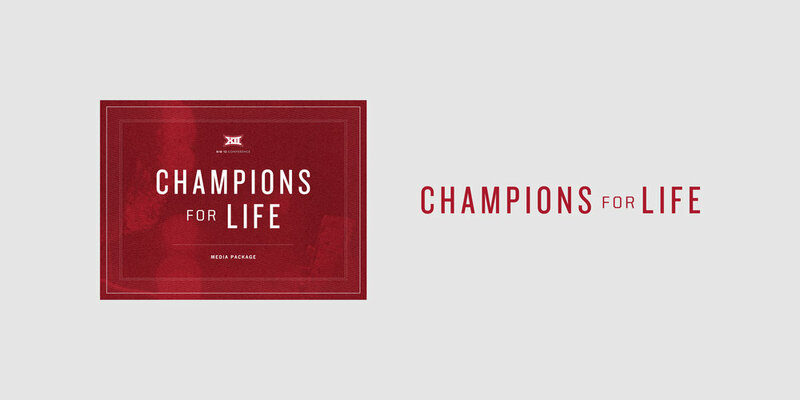 Fan sentiment towards the Big 12 and its affiliated schools helped inspire identity assets. 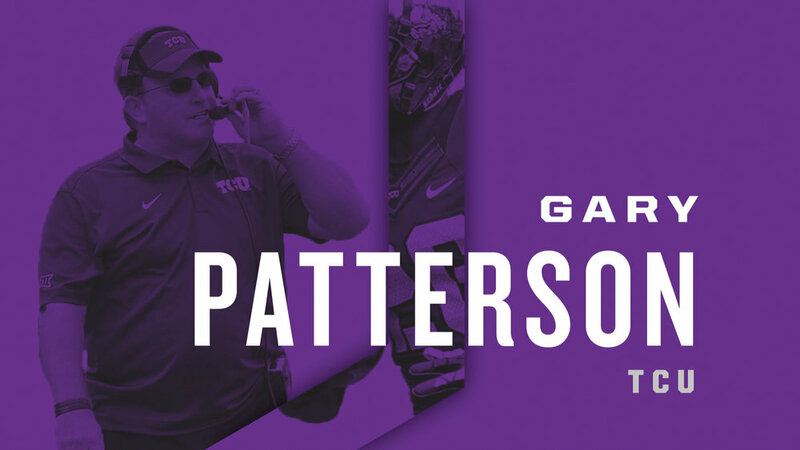 Their cohesive identity system was finalized in 2014. 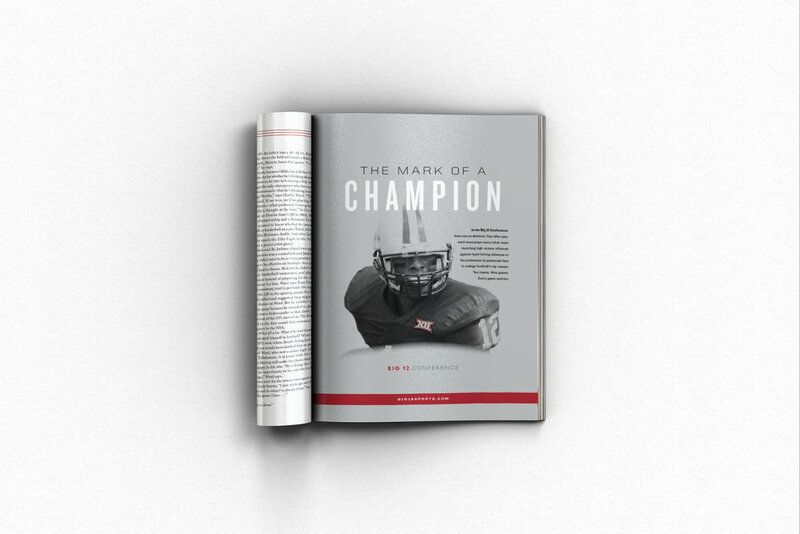 This system was comprised of the conference guidelines, individual school guidelines, championship guidelines for sponsorship, corporate collateral, stationery, marketing materials, and a sub-brand architecture. 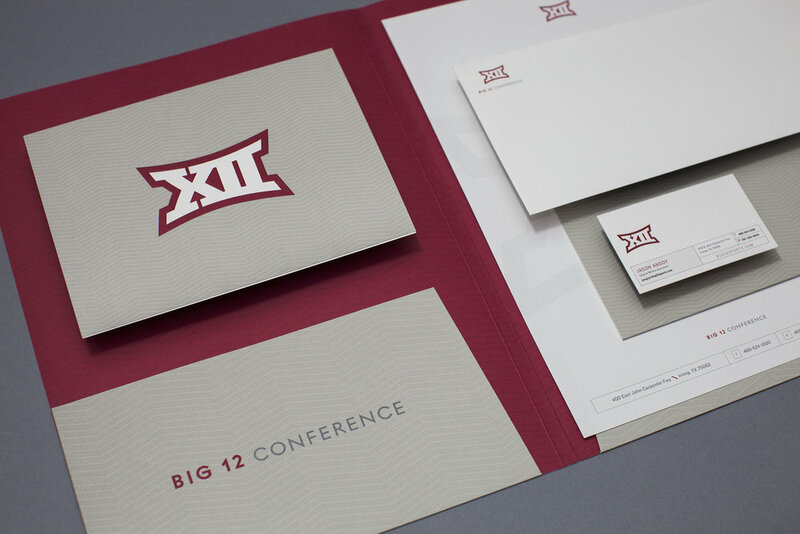 The new identity provided the flexibility necessary for an evolving brand. A campaign was launched to complement the emerging brand to aid in the reception and acceptance of the new identity. 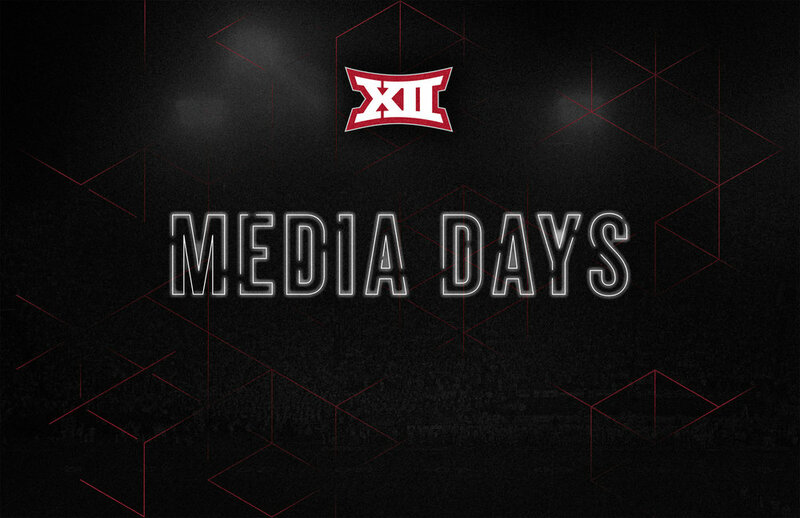 The evolution of the brand was furthered by the yearly design for Big 12’s Media Days. 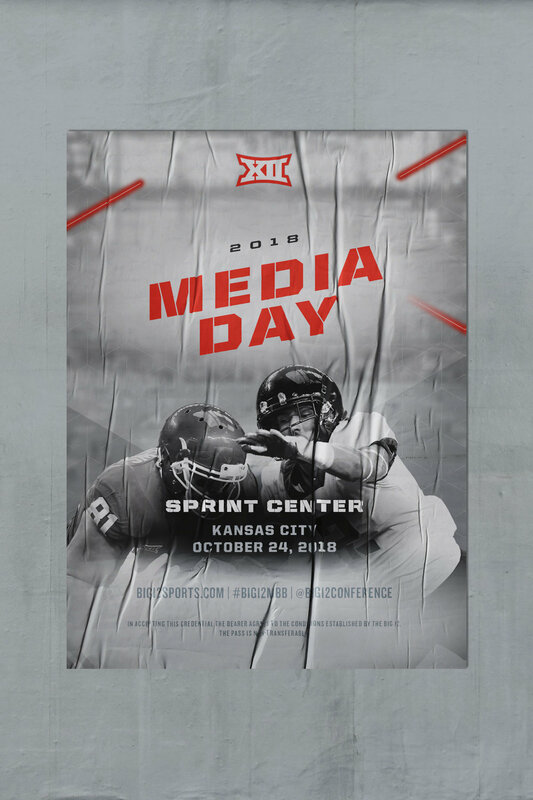 Media Days is an event hosted at the start of every season for football and basketball. 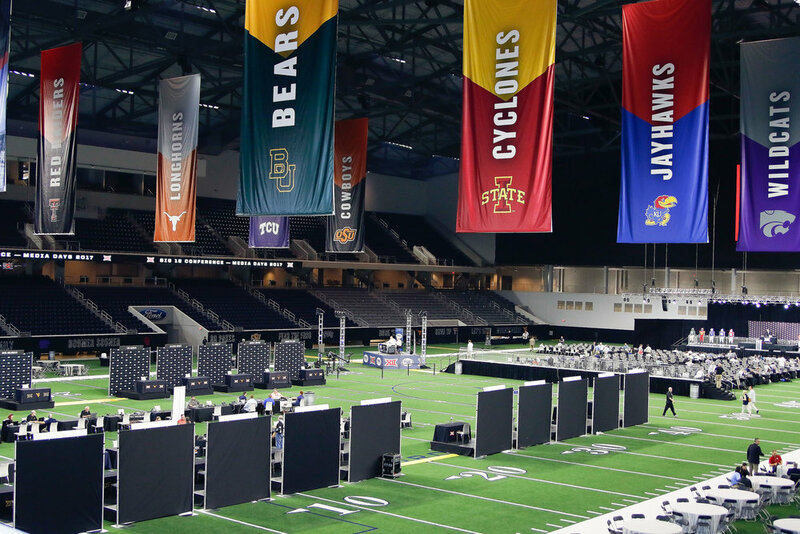 Each year’s design influenced the atmosphere and experience of the event.